Growing beans ... Easy gardening ? ... just starting a vegetable garden growing beans is a good choice. 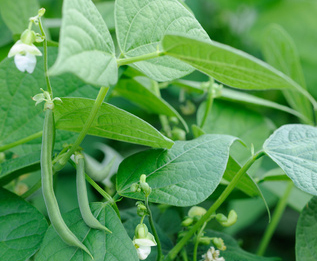 ... how to grow beans is simple to learn for beginners. 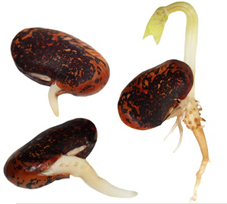 ... beans grow well in most soil types. ... these legumes help the garden soil building process by boosting the nitrogen. 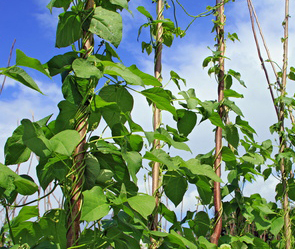 ... few pests or diseases especially with the air circulation pole beans get. 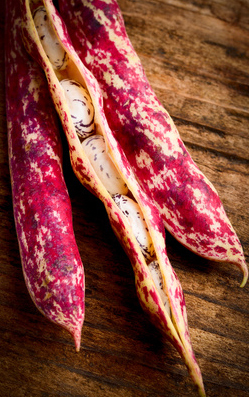 Drying or shelling beans are grown to maturity .... the bean seeds only are cooked and eaten. 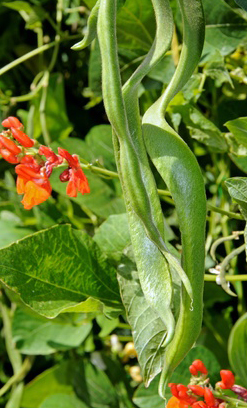 Snap beans or string beans are all for food ..
.. raw or cooked .. pods and beans .. picked before they mature. ... shelling beans picked when mature and dry. ... these beans must be cooked before eating. 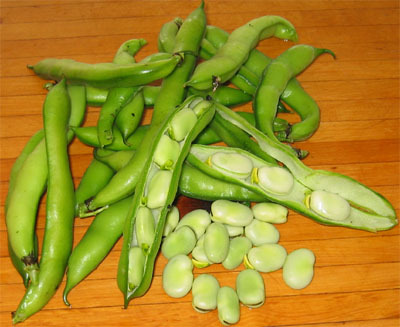 Our gardener picked the broad beans today ... and ... Cooking them for dinner. He is on the prowl for a good Fava Bean Recipe. ... this year ... was the rear of the new raised garden bed. Backing on a south facing fence the bean poles were easily attached to the fence. This arrangement created a vertical garden that did not shade the growing vegetables in the front line. The beans were picked from both sides. ... pole beans ... Kentucky Blue or Kentucky Wonder Wax ... also cool season green bean varieties. ... apparently himself has decided to grow some anyway ..
... scarlet runners have red flowers that attract bees and humming birds. ... the plan is to let them mature to be used as shelling beans. Growing beans is easy .... It is probably why our gardener grows us ! 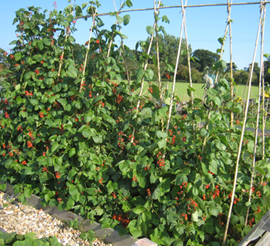 We beans are delicious and nutritious ..
.. including us in any vegetable garden is a no brainer. 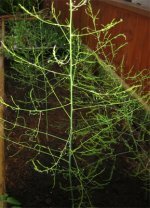 More articles about Growing Vegetables that may interest you.